One of God’s very common names in the OT is spelled with the four Hebrew letters Y-H-W-H. Folk wisdom holds that the proper pronunciation of that four-letter word — technically called the tetragrammaton (“four letters” in Greek) — has been lost over the ages, so it had to be pronounced adonai in Hebrew; because the word adonai is related to the word for “lord,” it became kurios in Greek translation, and then “the Lord” in English. Another popular account connects the tetragrammaton to Exodus 3. There, Moses plans for the day when the people of Israel ask him what God’s name is. “What should I tell them?” Moses wants to know (Exodus 3:13). The word ehyeh bears some resemblance to the tetragrammaton. Both are four letter words with two hehs, in second and fourth position; and both have the letter yud somewhere. So this passage is often — wrongly, in my opinion — introduced to explain the tetragrammaton, and, therefore, the name of God. But these similarities are hardly enough to justify equating the two. In the tetragrammaton, the yud starts the word, while in ehyeh it’s in third position. Ehyeh starts with an aleph while that letter is lacking in the tetragrammaton. The vav from the tetragrammaton is missing in ehyeh. English representations of the two make the differences clear: AHYH versus YHWH. Furthermore, the next verse (3:15) adds: God further told Moses, “…[tell the Israelites,] ‘YHWH sent me. That is my name. '” In other words, a careful look at the text shows that God’s name in Exodus 3 is YHWH, not ehyeh. So I don’t think Exodus 3 is an explanation of the tetragrammaton. I think it’s more likely that what we see is a purposeful play on words. So is God’s personal name “YHVH” in the same way as my name is Bill? Obviously not “just” the same way your name is Bill, but yes, I think so. Perhaps it’s more like the name Treebeard gave those he met – a name they could handle, but not one at the core of his identity. I’ve been wondering as I read through the Psalms how to handle speaking this aloud. Should I say “the Lord,” “Yahweh,” or “Adonai?” Reading privately, I prefer Adonai but I’m pronouncing “Yahweh” now. It doesn’t feel natural to me, so I think I’ll go back to Adonai. Thank you for that article and this post. God’s name is completely unique (and your title for the post isn’t half-bad). I have spent many, many hours pondering this issue. ISTM that in the Torah, God declares his personal name to be YHVH, but declared it to be so holy that he assigned a curse to anyone who uttered it with insufficient reason, or perhaps insufficient reverence; perhaps as a result, the Jews avoided speaking the name at all, to avoid accidentally offending this jealous god. Now, the practice is to write “G-d.” Christians likewise have this phobia of saying “Holy Ghost” irreverently, and avoid saying it, or hold their breath when they do, lest they commit the unpardonable sin. The Alexandrian Jews replaced the name with hO KURIOS, or “the lord.” So by the NT times, the personal name had fallen into disuse, at least among Hellenized Jews, working from the LXX. But the name of God in the NT, is “the father,” not Elohim, YHVH or the lord. That’s the best I can figure. By the way, if my take is correct (and I think it is) then it is completely inappropriate to address the father as “lord” – since he is out of that business. Jesus is “lord” now. And I should also point out that “lord” is not conceived by the NT writers as a personal name, while Moses clearly conceived of “YHVH” as a personal name. Again, this comes from the LXX replacing, out of deference and superstition, the divine name with a title. Personally, for example, I read Biblical Hebrew as though it were Modern Israeli Hebrew, even though there’s very little that’s historically accurate about it compared to other pronunciations. Similarly, I think that “Yahweh” is a modern invention with little history behind it, but I’m not sure that matters. Now that’s a take I’ve never seen before. I wouldn’t say that translating an initial yod as J is a mistake in Jehovah, though, any more than in Judah or Jacob or Jethro. It’s a fair point. Thanks. What’s most certainly a mistake, however, is the misguided but hopefully honest desire by some to say the original Hebrew name was pronounced with an English J. And since your blog is on translation, what would you think about a version moving toward more historically accurate names, maybe on less-familiar names especially? I’m not sure what you write about “J” is true of English. I think the reason “J” was first written as a distinct letter from “I” (as also “V” distinct from “U”) was that the pronunciation of “consonantal” “I” has already shifted from “y” to “j”. According to “The Alphabet” by David Sacks (Arrow 2004) Middle English words like “iustice” were pronounced with the modern “j” sound, based on the French pronunciation. The distinct letter “J”, originating in Spain, was used in English for this sound only from the 16th century. If I am not mistaken, the vowel pointing provided in the Masoretic text includes a stop after the initial YOD, completely precluding pronouncing as “YAHVEH.” It would have to be pronounced as “Ye-HoVaH” if we accept that Masor’s vowel pointing, yes? Eze 34:22 Therefore will I save my flock, and they shall no more be a prey; and I will judge between cattle and cattle. Joh 10:14 I am the [that] good shepherd [the one promised by God], and know my sheep, and am known of mine. Joh 10:29 My Father, which gave [charge of] them [to] me, is greater than all; and no man is able to pluck them out of my Father’s hand. So, “the lord is my shepherd,” the LXX saying, has an original meaning which is not accurate any more from an NT perspective, and is confusing. It has a new meaning when read from the NT perspective (but is a different meaning from the Hebrew). Actually the Masoretic pointing varies. I remember doing some research into the various forms of the divine name found in the electronic Leningrad Codex. From memory, a minority have a holam (“o” vowel) with the first H, and the majority have no vowel at all here (implying that the H is silent). But I then discovered that other Masoretic MSS vary on this matter – perhaps the holam became more standard in later ones. I’ll see if I can find the details of what I discovered a few years ago. Peter, you are right. The holam (single dot between letters) representing the /o/ sound is the minority vocalization in the Leningrad codex, while it is more common elsewhere. But I don’t think this has any bearing on the intended pronunciation of YHWH, because the vowels were only meant to indicate that the word wasn’t supposed to be sounded out. Incidentally, other traditions use two, three, or more yuds instead of YHWH. For example, the prayers found in the Cairo genizah — some of which predate the Leningrad Codex — use a triangle of three yuds for God’s name. Modern prayerbooks use two, frequently adding the same two vowels that are common from YHWH in the Leningrad Codex; but this doesn’t mean that anyone (yet?) pronounces the two yuds as y’yah. The thing is, nobody cares if we take Jethro’s name in vain. Or, for that matter, the name of James (i.e. Jacob) or his brother, Jude (i.e. Judah). I would like to see intelligible names in the NT that correspond with their OT counterparts. If “Simon” exists as an actual Greek name, then I wouldn’t change it to Simeon. Jesus is too dear to change, but perhaps at least Judas -> Judah and Jude -> Judah. But then, what to do with Andrew… do we leave that as Hellenistic? Joel, I’ve heard a semitic “true names” NT backtranslate Andrew as Adam. Both have to do with “man,” but I don’t think that is appropriate. Thoughts? Maybe I should have asked on the about page. While I don’t consider it appropriate to “translate” personal name, I certainly think that many names could be better represented in English. For example, “James” should be “Jakob” and “Mary” should be “Miriam.” “Jude” should be “Judah” and so on. I don’t presume to know the motives of the translators, but I would not be surprised to learn that the Anglicization of these names had been intentional “ethnic cleansing,” to erase affiliation with Jews. Jumping into this thread years later…. I understand that the following history of name translation for “Jesus” can be largely applied to just about all the Hebrew names throughout the OT and NT, and that the process over time may not necessarily represent a deliberate attempt to remove the Jewish nature of the Bible. Since I am not an ancient Greek/Latin scholar, I can’t personally confirm that this paraphrase of my theology professors is correct. Yeshua (a shorten version of Yehoshuah, in the same sense that Will is a shortened version of William) is a Hebrew name which has been transliterated into Greek as Iesous (IhsouV: pronounced ee-ay-SUS or ee-ah-ZOOS). The English “Jesus” comes from the Latin transliteration of the Greek name into the Latin Iesus. Koine Greek had no “y” sound, but the Latin “i” is both an “i” and a “j” (i.e., it can have a consonantal force in front of other vowels), the latter of which is properly pronounced like the English “y”, which explains the German Jesu, “YAY-su”. The earliest English translations mimicked Martin Luther’s German use of J instead of I, but we pronounce the name with a soft “j” sound because that is what we do in English with the consonantal “j”. Or, for another similar take on that historical outline, refer to http://jesusisajew.org/YESHUA.php which also reminds us that Hebrew names almost always had specific meanings, with Yeshua being loosely translated into English as The Lord Saves. Most importantly, the word adoni here is not God. It’s a person. In Hebrew, as in some dialects of English, people can be addressed with the honorific “lord.” (For a modern example, consider the British, “m’lord.”) So to say ADONAI for the second word is a mistake. It should be (the very different) ADONI, or, in English, either “my lord” or maybe “sir” to avoid confusion. Secondly, some Jews replace God’s name with ha-shem, (“the name”) but only in secular contexts. When reading scripture, no one (to my knowledge) uses ha-shem. 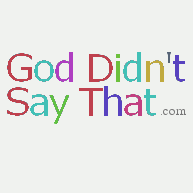 An interesting topic on your blog concerning the name of God. Even today some cultures consider the name of the deity too sacred to pronounce, while others think that naming the deity honors him. For example, Anglo-Americans would never think of naming their son Jesus, but Mexican-Americans see nothing wrong with it. what we see is a purposeful play on words. This is not an unimportant point. First, there’s what the writer-narrator writes that the reader reads. The reader (by conventions of the Jewish culture) cannot read the tetragrammaton aloud and has to transpose what is said when pronouncing it so others around can hear (i.e., in the assembly, the synagogue). But the reader, in fact, sees what is written. Hence, it’s a quiet (almost inside joke) between the text (and it’s author) and the reader (who must see the text). The second level of play, of course, is what you’re getting to. There’s a parallelism between Exodus 3:14 and 3:15 that is very rhetorically Jewish (i.e., Semitic). There’s some function to the repetition / variation of “Say this to the people of Israel, ‘ehyeh has sent … ” / “Say this to the people of Israel, ‘YHWH … has sent … ” The focus is drawn to the simultaneous contrast between and similarity between the two key words (i.e., the name[s]). Most of us read this, hear it even, as an apposition (i.e., a nominal phrase set beside another to explain the one by the other). And yet, the variation on the name(s) both in the Hebrew orthography and in the (presumed) Hebrew pronunciation cause us also to hear the repetition as some sort of lyrical theme. There’s almost a corrective nature to the second clause: “Elohim” of the fathers Abraham, Isaac, Jacob is Israel’s son’s YHWH. “Tell the sons of Israel YHWH — ‘Elohim‘ of Abraham, of Isaac, of Jacob — sent … ” But the newer name given in the context (i.e., YHWH) also embraces the older and commonly pronounced name Elohim. But of course, the reader knows that the newer name YHWH ostensibly introduced to Moses here in 3:15 as the name to use was one that the writer (Moses himself?) used in Exodus 3:2 at the start of the narrative, as the very pronounced voice of the unseen One in the burning bush. And the same name had been used throughout Genesis from Genesis 2:4 the creation story. In Genesis 2:18, there’s an early interplay between YHWH, Elohim and the verb ehyeh: “And YHWH, Elohim said, ‘not good that the man will be [ehyeh] alone; … ” Perhaps the (re)introduction of ehyeh in Exodus 3:14 is a reminder to readers (and listeners) of this earlier story of the commitment of one “being there” and God’s active role in that. All that to say, there are many literary and oral and narrative functions of YHWH, Elohim, ehyeh. A “purposeful play on words” indeed.